Mobile Security Tips - GruntWorx, LLC. By the time you read this blog, it’s likely that you’ve seen at least one or two stories in your Google Alerts concerning data security. In fact, we just finished a series of posts related to ransomware that included several tips for keeping your computer network safe, but what about your mobile devices? If you’re one of the three-quarter of Americans who own a smartphone, your device probably contains personal and business contacts, family photos, and innumerable SMS conversations. Regardless of whether you’re toting an Android or Apple device every day, you’ve no doubt scrolled past ads for antivirus software in the app store. 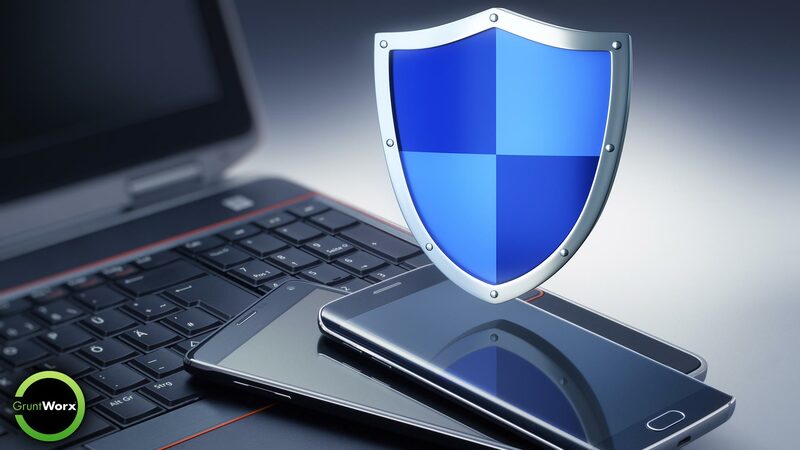 But you may be asking yourself, “Should I download a mobile antivirus application?” or “What can I do to secure my mobile device?” To help answer these questions, we consulted one of our IT specialists, Chris. Some applications, whether unintentionally or otherwise, introduce security holes that cybercriminals try to exploit to gain access to your private data. That means you have to investigate whether the app or the developer have a checkered past regarding device security.